Corporate Support allow us to continue to provide workshops and services to children each year. Thank you for all you make possible for the families of PROJECT REOVER. Our Corporate Support Program invites you to help us enhance the lives of children through your company’s financial contributions and employee involvement. The Corporate Support Program offers unique opportunities for businesses to engage employees in meaningful activities at PROJECT REOVER, and learn firsthand how our foundation makes a direct impact on the lives of families employed by some of Americas top companies. PROJECT REOVER throughout the year. Our PR team will ensure that news of the partnership is broadcasted via our newsletters, website and active social media sites creating excellent opportunities for you to boost your CSR policy and staff morale, as well as positive PR for your business. 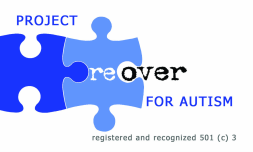 You could nominate PROJECT REOVER as your Charity of the Year (or month!) and focus all your fundraising activities to our cause. We offer a range of sponsorship opportunities from fashion & celebrity events to exclusive branding dinners. Packages can be tailor made to suit all budgets and brands. Perhaps you have a product or service that could be donated to one of our events or auctions. This is an excellent way of promoting your business while helping us to raise vital funds. We are always seeking prominent locations to place our collection boxes. If you have a busy shop or business why not consider hosting a counter top box for us. Get your staff involved in our events. We can provide you with t-shirts, leaflets, sponsorship forms etc. and help you to create a company sponsorship page. Visit our events page or contact us for more ideas. Even if you cannot support us financially, you could dedicate a corner of your business to raising awareness for autism and the work that PROJECT REOVER provides. Your company might even consider matching the funds raised by your staff’s activities?